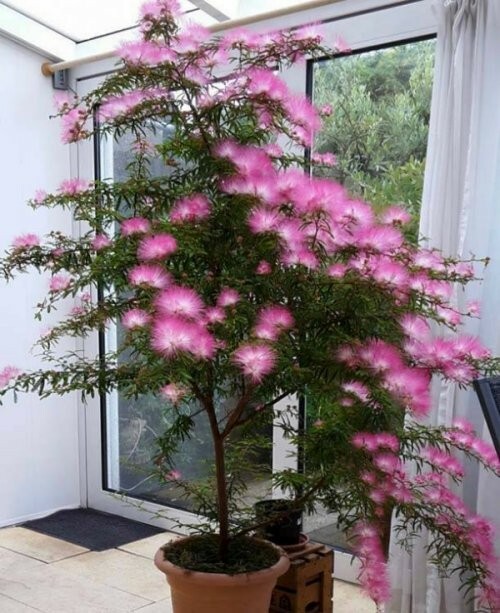 This Calliandra is an unusual shrub or small tree with soft feathery leaves and pink colored flowers, immediately striking to the eye. Preferring a bright sunny spot in well drain soil, for best results plants in a sheltered spot, us use in a patio planter on a terrace or balcony and then move indoors as a house or conservatory plant for the winter. 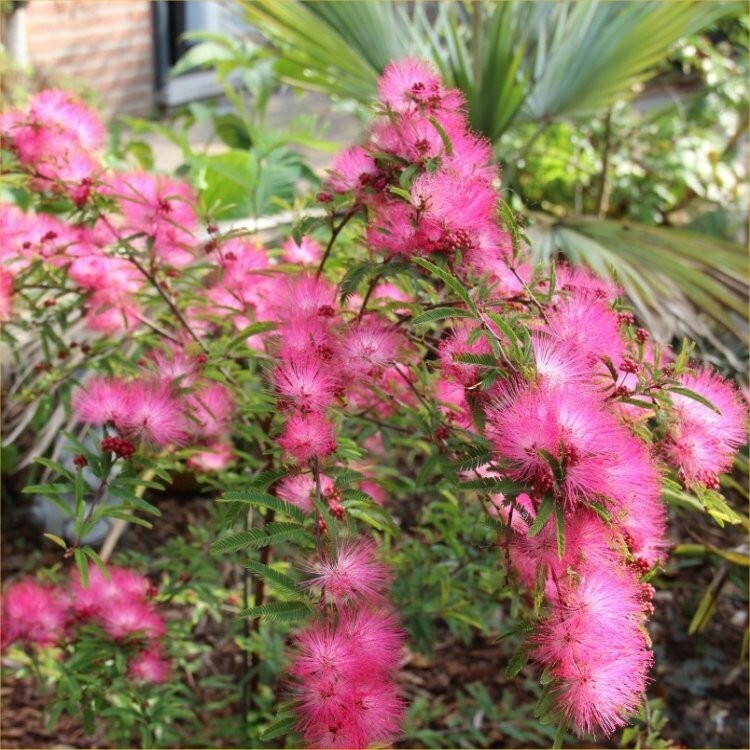 Also known as the Surinam Powder Puff Tree, the Calliandra will form a small tree with plenty of attractive fluffy pink flowers for most of the summer. A native of the Caribbean and South America, it is important never to allow it to dry our during the flowering period. Supplied as a small tree at around 70cms tall in approx 2-3 litre containers.